I won't start this post with a rant about a traumatic experience with customer support. There are so many stories of misery already out there - from "United Breaks Guitars" to entire web sites dedicated to wronged customer rants - there's no need for me to pile on. But airlines, retailers, and technology companies beware: An enraged customer with a blog can be a dangerous thing. And that's not to mention the many others without a blog. They won't blast you publicly; they'll just leave. For software-as-a-service (SaaS) companies, customers that just leave are a dangerous thing, indeed. When a SaaS customer leaves early in the relationship or doesn't renew a subscription, the SaaS business model is in peril. Those short-term customers cost money; they don't make money. What this graph is showing is the payback (lifetime customer revenue) on $1 in customer acquisition costs (sales & marketing expenses) for several of the largest, publicly-held SaaS vendors. For all but two of the vendors, it requires more than one year of subscription revenues to earn cover the acquisition cost. In fact, even over a three year term, most have only barely recovered their sales & marketing costs. To put it another way, in most cases if a customer departs after only a one-year subscription, the SaaS vendor has paid one dollar in customer acquisition costs to earn about 40 cents in subscription revenue. As the expression goes, you won't make it up in volume. A company can make it up in length, though. That is, by extending the life of the customer subscription - reducing customer departures and enhancing renewals - the company can recover their sales & marketing costs. Which gets us back to the issue of unhappy customers and specifically how SaaS companies can keep them from getting unhappy. Keep customers informed. Let them know about enhancements to the service. Show them how the new features work and explain their benefits. This is what you do for prospective customers. Do the same for existing customers. Monitor customer usage as an alert to possible problems. This is one of the great advantages of a SaaS solution. When customers stop using the service, it may indicate unhappiness. Reach out to the customer. And better to do it now; don't wait until the subscription is ready to expire. Treat and train your customer support people like marketing people. They're not just techies fixing customer problems; they're critical to customer satisfaction and renewals. 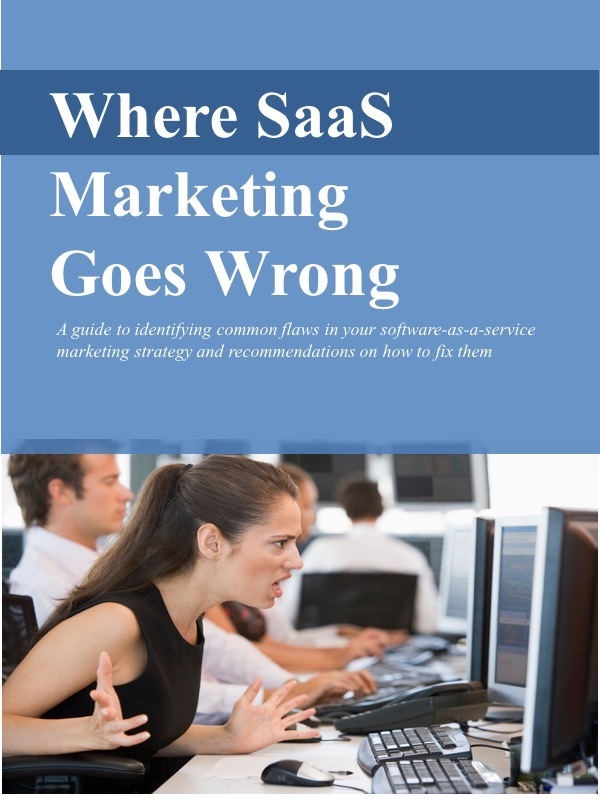 I know of at least one SaaS provider in which the customer support agents report to the Chief Marketing Officer. The customer support agents are measured not on "time to resolution," but on customer satisfaction. This makes sense. In the SaaS world, retaining an existing customer is actually worth more than winning a new one.